The Matthews triple riser stand demonstrates the ruggedness we’d expect from a manufacturer with a reputation for build quality. This triple riser stand is part of Matthews ‘Hollywood’ family of stands, designed with wider footprint (109.2cm) and longer legs for increased stability. 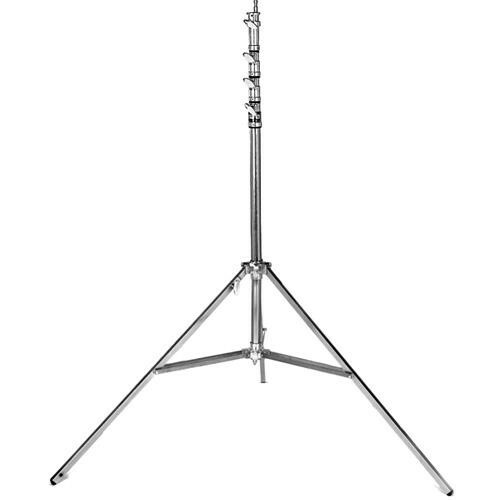 This triple riser stand weighs 14kg and can support 30kg without any problem using the 16mm spur or the baby 28mm female receptor. One feature of this triple riser stand is a ‘Rocky Mountain’ levelling leg which extends independently for increased stability on uneven surfaces. Quick bit of maths please: required Please check your adding up. Total of 5 + 8 please. Quick bit of maths please: required Please check your adding up. Total of 2 + 9 please. Quick bit of maths please: required Please check your adding up. Total of 6 + 4 please. thanks for forwarding on information about the Triple riser stand.